Choi Heung-sik, the head of the Financial Supervisory Service of South Korea, responded in the affirmative when asked if employees of the financial regulator had sold their cryptocurrency holdings just before the agency publicly proposed measures against the industry, which caused cryptocurrency prices to drop. Recent volatility in Bitcoin trading has been nothing short of extreme when placed within the context of traditional financial markets. But in the relatively new world of cryptocurrency trading, the recent wild swings in Bitcoin have only been slightly more vigorous than usual. The latest plunge for BTC/USD began in earnest earlier in the week when reports surfaced that South Korea and China were considering tighter regulations, and even a potential ban in the case of South Korea, on the trading of Bitcoin and other cryptocurrencies. These reports triggered an avalanche of falling prices for key cryptos, most notably the widely-traded Bitcoin, which fell by well over 30% at one point this week. 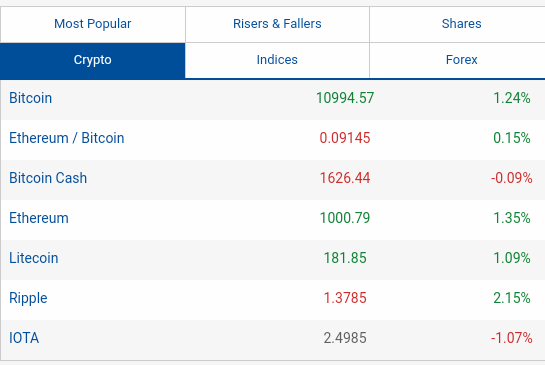 As the initial concerns over increased Asian regulation began to wear-off, however, BTC/USD began to stabilize on Wednesday after hitting a low well below the key $10,000 psychological level and establishing a new year-to-date low just above the $9,000 handle. By Thursday afternoon trading, BTC/USD was above $11,000 once again, and tentatively taking a breather after a wild ride. While Bitcoin traders have calmed down in the latter half of this week, the specter of greater Asian regulation on the cryptocurrency has not gone away. The danger to Bitcoin of any increased regulation or outright bans in Asia, which is home to a great deal of cryptocurrency investment and speculation, should not be underestimated. If such tighter regulation comes into being, the price of Bitcoin could take an even more substantial hit. From a somewhat limited technical perspective, BTC/USD dropped below a key short-term support level around $12,500 in the process of the recent plunge. If the cryptocurrency is unable to re-take that level, and instead falls back below $10,000 again, the outlook should remain bearish given the still-prevailing pressures on Bitcoin. Any further fall below Wednesday’s $9,000-area low would exacerbate this bearish outlook. In contrast, a sustained move back above $12,500 should indicate that traders are brushing off the threat of tighter Asian regulation, in which case BTC/USD could potentially be poised for a return towards January’s highs just above $17,000. "…bear with me for a moment, and read about how many brokers failed to time the crypto market." "Consequently, the confidence that the industry expressed when creating synthetic cryptocurrency CFDs that are extraordinarily difficult to hedge, drove some firms straight into the “greed” phase of the bubble." "Since about the middle of the year, retail brokers have started deploying their Bitcoin and crypto trading offerings en masse, relying on a given fact – that sooner or later, retail traders will lose their deposits. 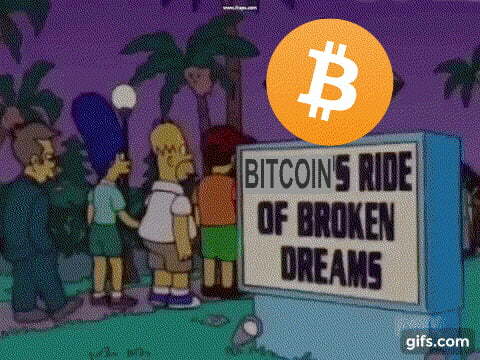 A miscalculation that was shaken by a notoriously annoying, but still funny term: HODL!" Hodl: The intentionally misspelled word hodl has its roots in a December 2013 post on the Bitcoin Talk forum, “I AM HODLING”; when the author, GameKyuubi, couldn’t be bothered to fix his typo, the community instantly turned it into a verb: to hodl. 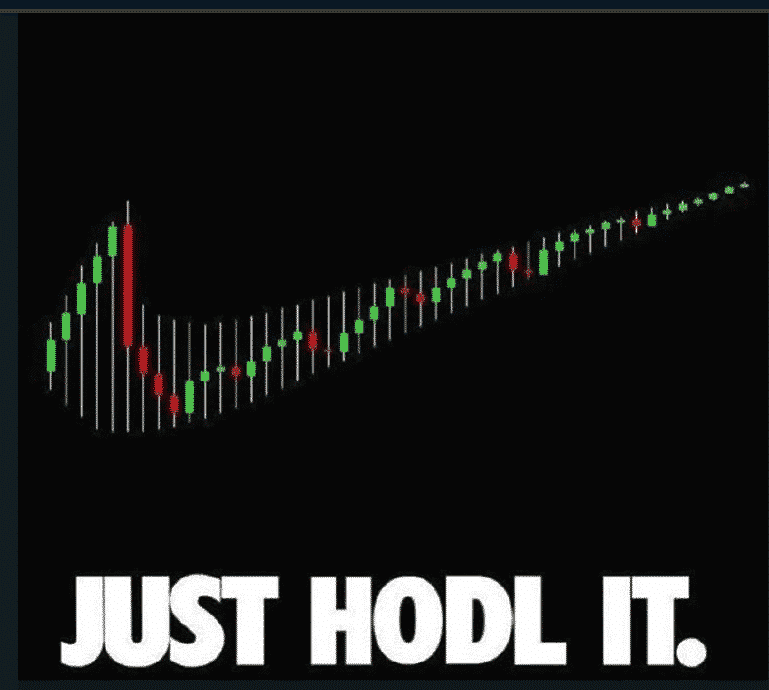 Along with other terms, hodl is an effective litmus test for sussing out newcomers, carpetbaggers, and tourists. Another down week for the Cryptos, this Bitcoin chart represents much of the Crypto market, stuck in a downtrend stepping pattern, until we break this pattern and see a higher high followed by a higher low, we could still see lower prices. Bitcoin (BTC/USD) yesterday was below the July trend line but somehow managed to close above the line for two days in a row, if it failed to do so then price 9224 would come into focus. A break below there could be significant, likely bringing in another wave of selling. Hold here, and rally will bring the 13k area of resistance back into play and will need to be overcome if higher prices are to follow.